Well before Meghan Markle's name was whispered in the ear of a young Prince Harry, another stylish 34-year-old American divorcée was making headlines for all the right - and wrong - reasons. 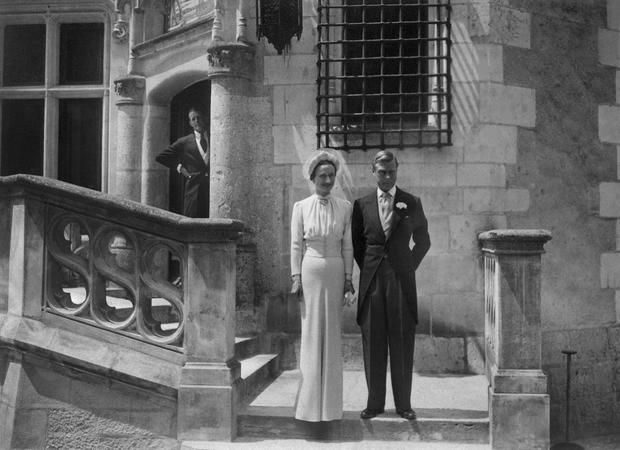 Wallis Simpson, who is buried on the grounds of the Duke and Duchess' future home of Frogmore Cottage, may have been the woman behind a British King's abdication, but it's her sense of style that she's often most remembered for. 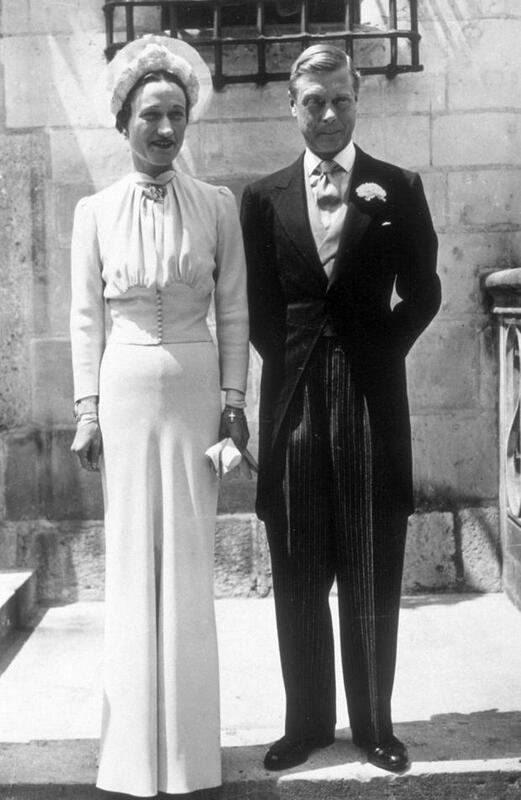 In what must be one of most intriguingly messaged wedding looks of all time, Simpson wore a silk crepe dress designed for her by Mainbocher, an American couturier working in Paris at the time, for her wedding to Edward VIII in 1937. 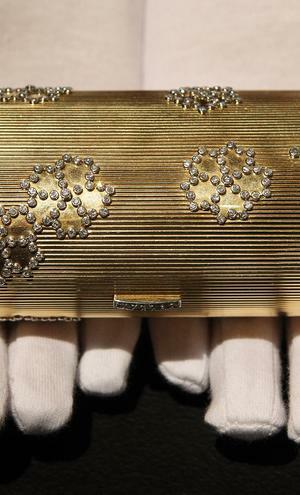 The dress was dyed ‘Wallis Blue’, a pale duck egg shade which the designer coined especially to match his client’s eyes. White was obviously not an option for the twice before married woman in her thirties, but in many ways that freed Simpson to choose something which could project a more personal message. While the dress functioned as a sign of Simpson’s glamour and avant-garde sophistication, the hat she choose could be seen as a more emotional appeal to those poring over the wedding pictures. It wasn’t just with her wedding ensemble that Simpson employed fashion as her most powerful weapon. 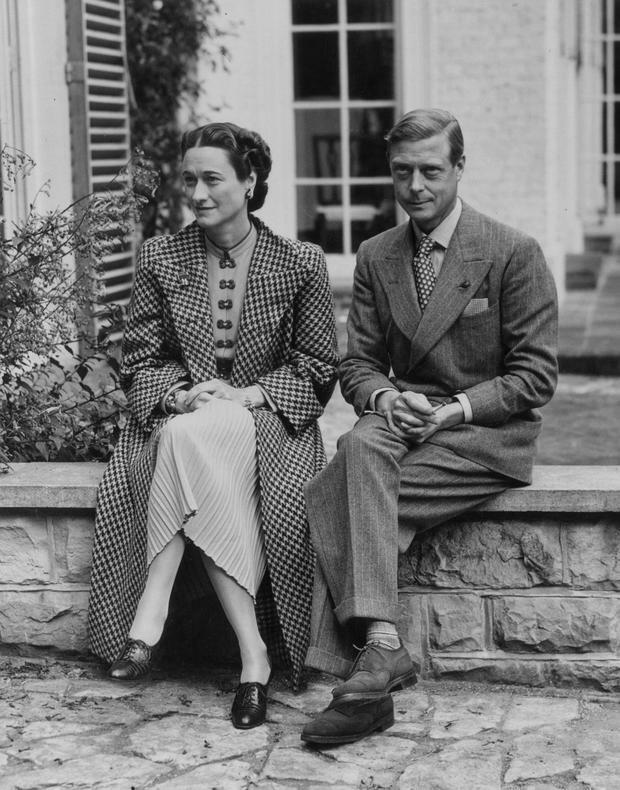 Despite countless column inches around the world being dedicated to the romance between the Pennsylvania-born socialite and the British King, his subsequent abdication and their exile together in France, Simpson could never speak to the press herself, so clothes were designed to speak for her. In The Crown, Netflix’s recently released and gorgeously cinematic drama about the royal family, Simpson - played by Lia Williams - appears on the screen only for snatched moments but it’s enough time to underscore the stark contrast between her and her husband’s female relatives. WEDDING WEDNESDAY: Real Bride Gillian looks 👌 sensational in her #wallissimpson inspired #sanyuktashrestha wedding gown made from bamboo and silk. We cannot wait to share her beautiful wedding soon. The show’s costume designer Michele Clapton has said that Simpson was one of the most fun characters to dress, thanks to her angular and film star-esque look. Simpson developed her own fashion vocabulary, nodding to the trends of the time but crafting them to become her own; dresses and tailored suits which enhanced the gamine figure which she was always careful to preserve, elegant gloves - “whether that was because they were chic or as a way to hide her large hands we’ll never know” laughs Sebba - and elaborate statement jewellery. “Pieces which demanded attention,” as Sebba puts it. She used to buy underwear from the lingerie business owned by Diana Vreeland, the inimitable woman who would go on to become a legendary American Vogue editor, and would order her wardrobe from the salons of Paris couture designers like Vionnet and Schiaparelli. The Vionnet atelier even agreed to remake some of the designs for Andrea Riseborough to wear when she played Wallis in W.E, the 2011 film directed by Madonna. "I'm not a beautiful woman. I'm nothing to look at, so the only thing I can do is dress better than anyone else," Simpson once said, but her love of fashion was no artifice. 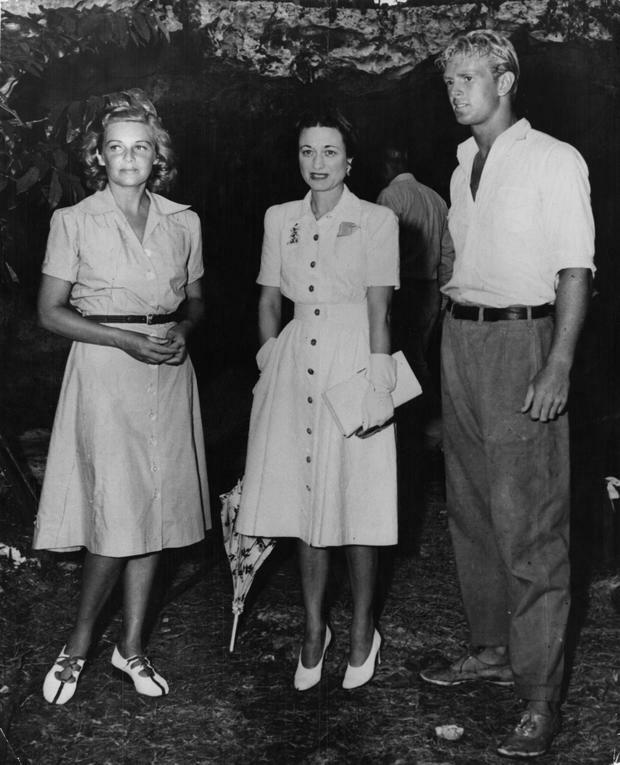 “Even as a schoolgirl, Wallis had been interested in fashion. She would clip images from magazines and take them to the dressmaker to be made up, she wanted to look different, sometimes odd even,” says Sebba. Although her (third) wedding dress has become iconic in its own way, Simpson expressed frustration that she hadn’t able to ponder over it more extensively. “She complained that she hadn’t had been able to visit different designers and choose a dress because the paparazzi were following her everywhere so she had to depend on what was brought to her; her freedom of action was taken away from her,” says Sebba. The Duchess of Windsor (Wallis was allowed to be a Duchess but there was no HRH styling for her) set a trend for panther jewellery, establishing a sizeable collection of pieces created by Jean Toussaint of Cartier. Imbued with connotations of power and courage, Wallis’s panthers became part of her fashion armour. In a 2010 sale at Sotheby’s, 20 items belonging to Wallis and Edward, including an onyx and diamond panther bracelet from 1952 and a flamingo brooch, set with diamonds, rubies, sapphires and emeralds, reached almost £8 million. On a purely aesthetic level, Simpson’s fashion legacy is impeccable; her sharp glamour continues to inspire designers or incite the remark ‘Oh, that’s very Wallis Simpson’. But whether her love of clothes aided in boosting her public image is not so clear cut. “I don’t think her love of fashion helped her, at the time people believed that she was an adventuring gold digger who used her talents - including her fashion sense - to ensnare the King,” observes Sebba. A glamorous yet so purposefully alternative wedding dress will have helped cement that perception.